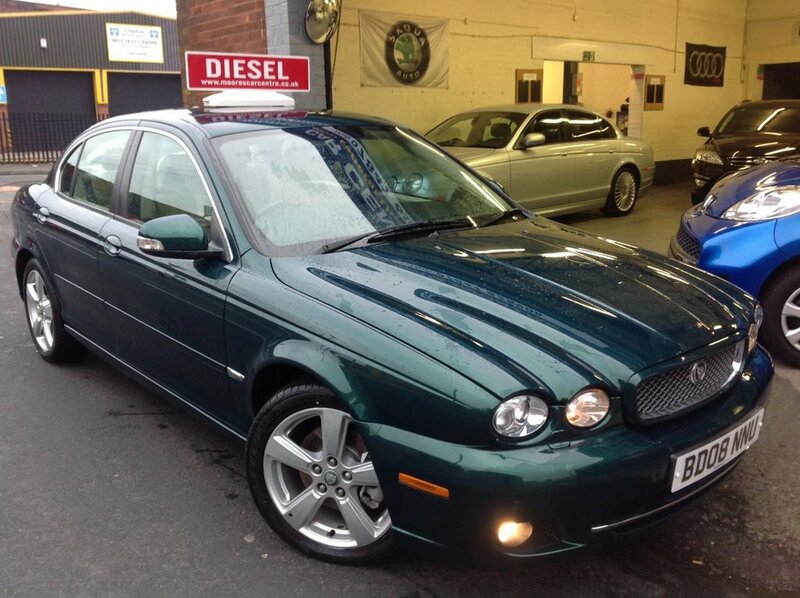 Moores Car Centre are proud to introduce this outstanding Jaguar X-Type 2.2d Sovereign in Metallic Green with Full Ivory with Mokka Piping Leather interior. Complemented with beautiful interior and embellished with striking 17" alloy wheels, this fantastic X-Type drives perfectly, with only 91,500 miles from new! This superbly maintained car will be an amazing purchase with an excellent service history. Brimming with advanced new spec, we are proud to offer you a range of stylish additions such as: Satnav, Front and Rear Parking Sensors, Climate Control,Cruise Control, Electric Seats, Mesh Grille , This car looks absolutely stunning and should not be missed.